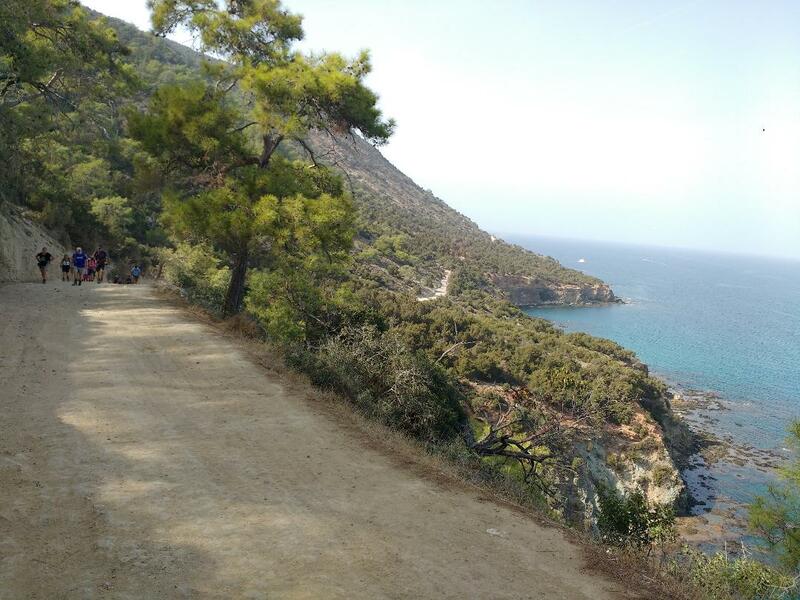 Cyprus is an excellent destination for self-guided walking trips, really all yer round (even in hot July and August, provided the place, time and walk length are managed well). 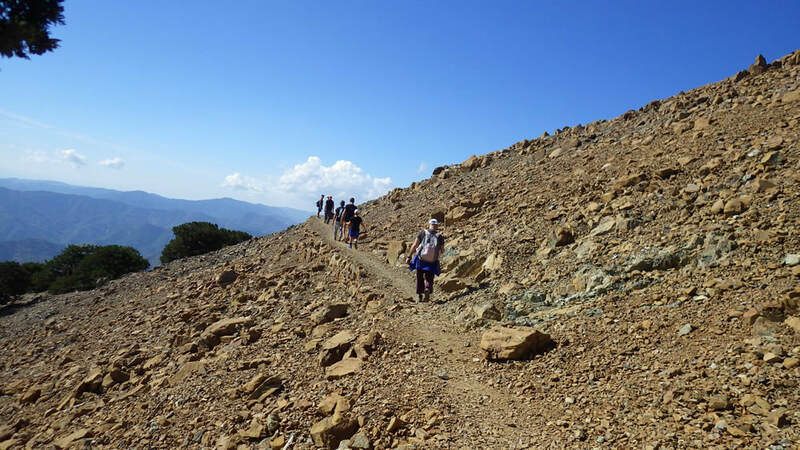 Cyprus Walks Etc offers a menu of walking packages to cover different traveller preferences (hotel to hotel, single or small number of bases, cooler season or even summer). Please choose your preference from below or come back to use with questions, as we can customise a trip. 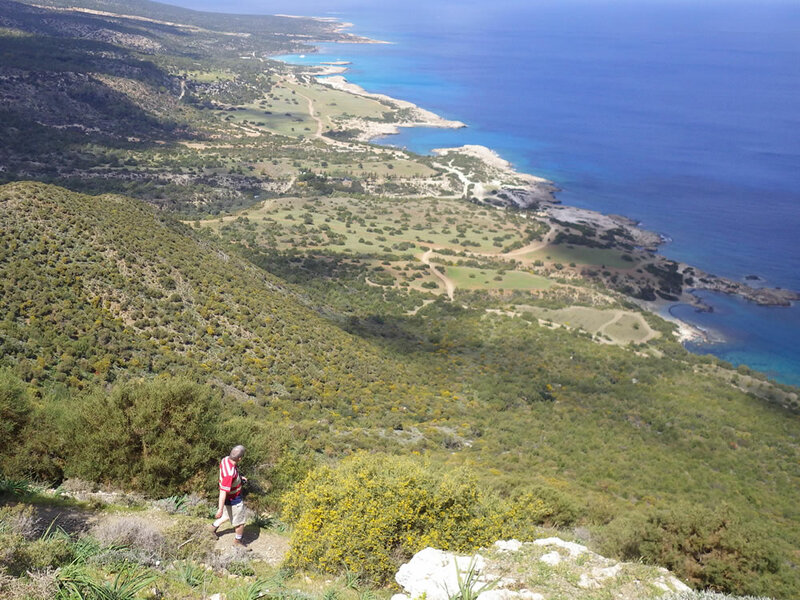 Extensive information on our inhouse designed route that presents the best Cyprus has to offer, combining top elements of its cultural and natural heritage. We provide information on each day's walk and instructions to find one's way, as well as relevant useful information material on Cyprus. We recommend the use of GPS data (which we can gladly provide) as an excellent addition to the maps. Booking of meals, including breakfast, dinner (as per the package) and optionally lunch packs , with a high element of local cuisine, where available. 1) Once Customers study the extensive material, once they have their questions answered and are ready to proceed, they book the trip with us. At this point they would need to pay us the amount of 100 Euro (per trip, not per person) as advanced payment. 2) Then Cyprus Walks Etc works on the bookings. We make a best effort to come back to the Customers with a reply within four work days. If there is availability for all places (including alternative accommodations) then we notify the Customers and we proceed to step 3. Otherwise, if some of the properties (including alternatives) are unavailable we notify the Customers. If they don't want to change the dates we provide them with full refund and cancel the booking. 3) The Customers pay the balance of their package at least one month before the trip. We then proceed to step 4. If the Customers don't pay the balance then the booking is cancelled and Cyprus Walks Etc keeps the advanced payment. ​​Please keep in mind that walkers may buy services from us for a shorter version of the trip (eg, a 4-day walk instead of the weeklong walk) or they may extend their trip staying at any of the accommodation options on our route for more than one day.